On Tuesday and Wednesday, the first matches of the 1/8 finals of the Football Champions League will be held. Manchester United, who has taken a turn, led by Ole-Gunnar Solskherom, will receive Paris Saint-Germain, who lost due to injuries of two star strikers. Transformed under the leadership of Santiago Solari and included in the title race Examples “Real” will play in Amsterdam with “lame” after the New Year “Ajax”. RT tells how the teams have changed in the run-up to the playoffs of the main European Cup. The confrontation between the Mankunians and Parisians is perhaps the most interesting this week in the Champions League, although as early as December it seemed that the fight in this pair should not be expected. PSG confidently smashed opponents in the domestic championship and went to the playoffs of the Champions League from the first place from a very difficult group. Manchester United, under the leadership of Jose Mourinho, on the contrary, had serious problems. However, everything changed after the club management agreed with the eminent Portuguese to terminate the contract, without becoming to wait until the end of the season. He was replaced by club legend Ole-Gunnar Solskjer, the author of the winning goal in the Champions League final - 1998/99. Under the leadership of the Norwegian team completely transformed. In 11 matches in all tournaments, the Sirscher-headed mankunians won ten victories and only drew once. With the change of coach, many footballers were revealed. 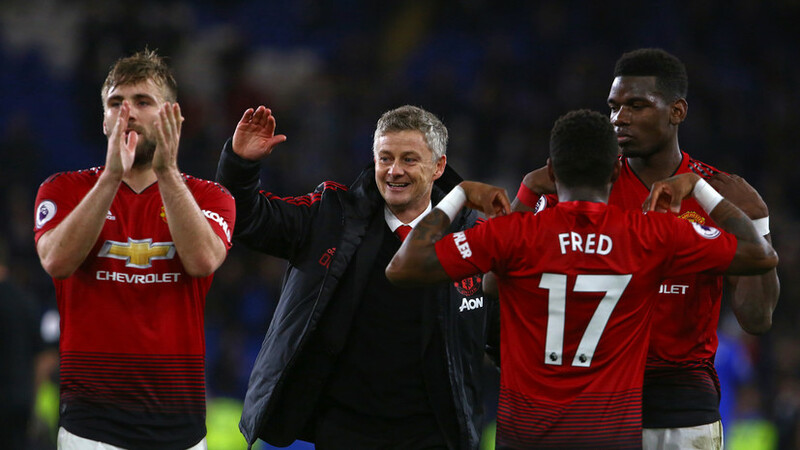 In particular, Paul Pogba, who clashed with Mourinho, turned into a real team leader, and Marcus Rushford began to score in almost every match. In turn, PSG, who won 14 wins in a row in Ligue 1 in the fall, slowed down a bit in 2019. In early February, the Parisians even suffered their first defeat of the season in the national championship. Prior to this, the team sensationally lost to the League 1 underminder Gengam in the quarterfinal of the League Cup, and in the French Cup PSG only in extra time passed Villefranges-Beaujolais, representing the third force in the French division. In addition, the Parisians approached the confrontation with MJ without the injured Edinson Cavani and Neymar. However, Leandro Paredes, acquired from Zenit, will be able to help the team. Also, do not forget that in the two previous seasons PSG flew out of the Champions League at the stage of 1/8 finals, and then did not go past the quarter-finals in history. In addition to Manchester United, Real Madrid has achieved the greatest progress over the winter from among the participants in the playoffs of the Champions League. Back in December, the “royal club” under the leadership of Santiago Solari lost the match after the match, in particular, suffered a crushing home defeat against CSKA. However, in the new year, “Real” scored a move and scored five victories in a row in Example, which allowed the creamy to reduce the backlog to six points from the leading Barcelona. It seems that in the run-up to the playoffs of the Champions League, the current winner of the trophy finally got a good shape. In this case, the team, as with Zinedine, Zidane began to win even in those matches in which it did not quite deserve. For example, it happened in the recent Madrid derby with Atletico. In "Ajax" in the confrontation with the "Real" objectively not too many chances for success. Plus, the team from the Netherlands started the new year very badly and scored only one victory in four matches of the domestic championship. But the club managed to keep at least until the end of the season of its two main stars - midfielder Frankie De Jong and defender Mathays De Ligt. True, the first one still signed a contract with Barcelona, ​​but will only join the Catalans in the summer. Here are just a first meeting with the “Real” De Jong may miss because of problems with the hip. In the last match of Eredizhevis with Heracles, the midfielder was injured and had to leave the field ahead of schedule. If in the majority of the teams that made their way to the playoffs of the Champions League, at least some changes in the composition took place in the winter, Tottenham has done without newcomers. Moreover, Londoners became the first team in the history of the nuclear submarine, no one bought for two transfer windows in a row. Such a situation could not leave indifferent the head coach Mauricio Pochettino. “Of course, I was hoping to strengthen the composition in the winter, but since we cannot do this, I will have to cope with the pressure. I am disappointed with the transfer policy of the club, because we occupy a high place in the standings, and against the background of some problems we would not be in a hurry to help, ”Sky Sports Pochettino quoted as saying. In addition, in the first match with “Borussia”, “Tottenham” will definitely not help the main star of the team Harry Kane. The striker received an unpleasant ankle injury and, despite all the efforts of the doctors, will be able to return to service only in March. In this regard, Pochettino has to use Fernando Llorente in the line of attack of the not-very-driven one. But his participation in the first game is still in question because of health problems. Despite all the difficulties, "Tottenham" retains a place in the first three submarines. In 2019, the team won five domestic championship out of six, but simultaneously flew out of both national cups. Problems experienced and “Borussia”. If in the fall the Dortmund won the victory after the victory in the Bundesliga, then in February twice in a row they tied the championship and allowed Bavaria to come closer to them. In addition, black and yellow, like Tottenham, cannot be helped by the team's top scorer - Marco Royce. The striker got a hip muscle strain and will definitely miss the game in London. Both opponents on the eve of confrontation in the Champions League have some difficulties. “Roma” is fighting in Serie A for getting into the first four, but the head coach of the team Eusebio Di Francesco still fills the media, although last season he brought the Romans to the Champions League semi-final. “Porto” also made a few misfires in the domestic championship and closely admitted to him “Benfica” and “Braga”. But the Portuguese team in January returned to the team the most experienced Pepe, whom he sold 12 years ago to Real for € 30 million. Now the 35-year-old central defender together with 37-year-old Iker Casillas will try for the first time in four years to bring Porto to the quarterfinal LCH .